The games continue to countdown for football supporters across the land as the realisation that another season is about to draw to an end begins to dawn. For two teams, it's one last push to add another trophy to the cabinet and that piece of silverware is the much coveted Champions League trophy. 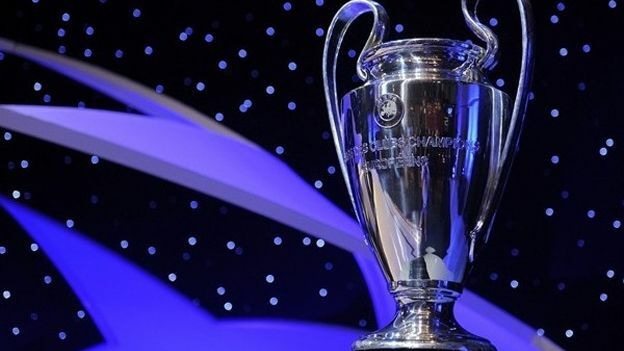 Whether you've been privileged to get your hands on a ticket for the European showpiece or simply rounding up the mates to watch it down the pub, here are five apps that should make sure you make the most of Champions League final day. A evening kick-off means there is plenty of time to have beer in hand and a good view of a TV screen, but if you encounter any type of transport-related complications, you can keep in touch with the coverage with Sky's live TV app. Oh, and there's Sky Sports News - to flick over and see Paul Merson's flabbergasted reactions. We've all done it; play the game out on your games console hoping that it somehow miraculously transpires into real life. Thankfully you can now do it all on your smartphone, and EA Sports' latest mobile instalment is better than ever sporting sharper graphics (courtesy of the new retina display), refined virtual controls and now 360 degree player movement. If you don't support either Manchester United or Barcelona, you can still maintain interest with this app that will show off your reading of the game. From the first whistle you will be able to predict whether Rooney will score in the next thirty seconds, or Messi will curl his free-kick straight into Van Der Sar's hands. The more points you get, the more bragging rights you can have over your mates. The full whistle has blown, and you're either celebrating hysterically or staring into the bottom of your pint. If you want to know exactly how the game panned out exactly this is the app for you. Using information from football stats titans Opta Sports it will tell you everything you could possibly want to know about the Champions League final such as Xavi's range of passing and how influencial Rooney's contribution was to the game, all with great chalkboards to illustrate it. @rioferdy5 to his one million plus strong Twitter following, the captain of Manchester United has entered the app realms with this Android offering that gives you behind the scenes footage of Rio and company shot by the man himself. So if you want to know what it feels like to win or lose a Champions League final, here's where you'll be able to see it first hand.